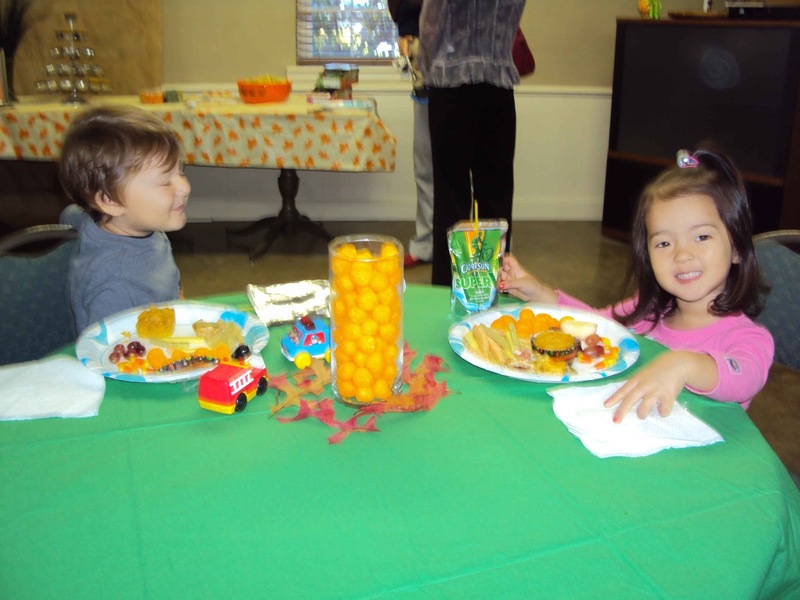 Katy and Connor, enjoying a snack together. Today was the MOMs Club of Concord's Fall Festival/Open House. Coordinating the Open House falls under one of my "duties" as Membership VP of the club. So, responsibilities were divvied up and everything came together pretty smoothly (I can say that now that it's over :-). 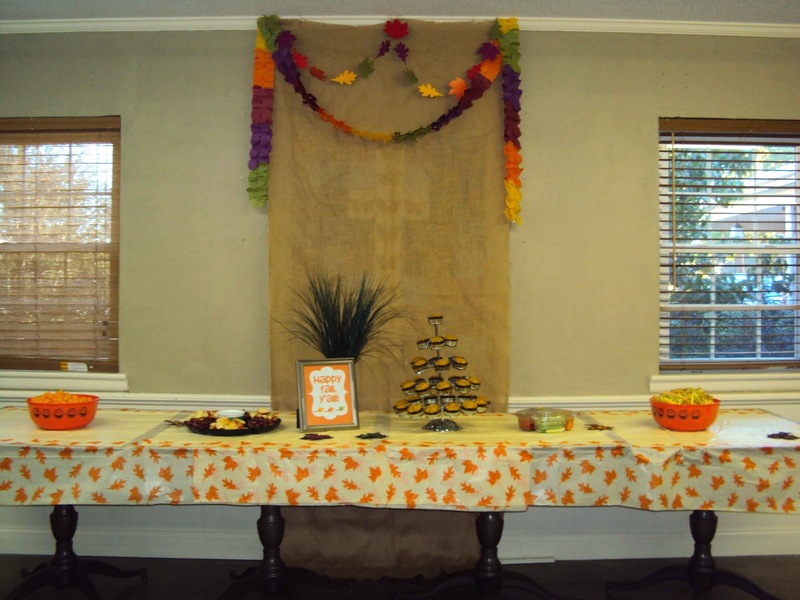 The board bought the food and our playgroup was in charge of decorations. We had 16 moms and all of their kiddies present for the event. Of that, four were visitors- two of which, decided to join. We had about 34 people, total! That's a GREAT turnout for any MOMs Club event!!!! While things were a bit chaotic (that's what you get when you put that many kids together! 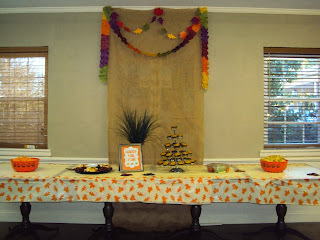 ), we did manage to play "Pin the Nose on the Jack-O-Lantern" and "Guess How Many Candy Corn." Halloween Bingo never got around to being played- oh well- I don't think the kids missed it! It was nice to socialize and get to know some new moms.